VANCOUVER -- Guidelines for the use of botulinum toxin in various neurological disorders are getting an update, with the best evidence supporting the use of some formulations in spasticity and chronic migraine, researchers reported here. All three botulinum toxin type A formulations are supported by level A evidence for use in upper limb spasticity, and onabotulinumtoxinA (Botox) received a level A recommendation in chronic migraine, although the magnitude of the benefit is small, according to David Simpson, MD, of Icahn School of Medicine at Mount Sinai in New York, and colleagues. The new guidance, which is the first since 2008, was published online in Neurology and reported here at the American Academy of Neurology meeting. 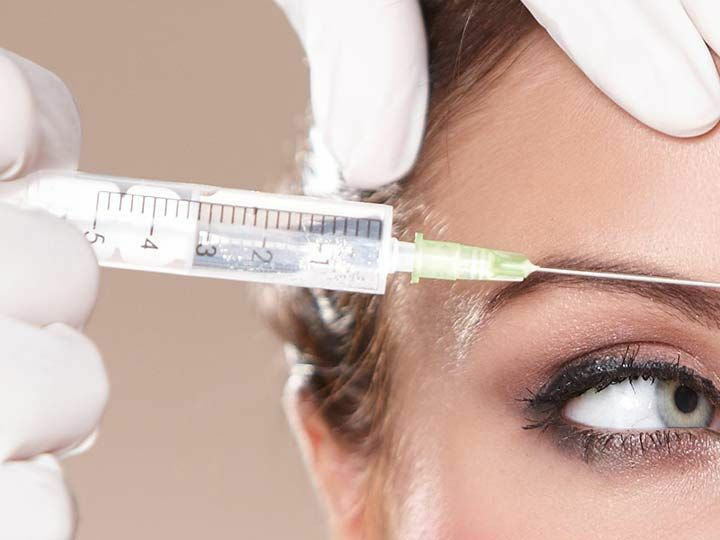 There are four types of botulinum toxin available on the U.S. market: three type A and one type B. Type A botulinum toxins include abobotulinumtoxinA (Dysport), incobotulinumtoxinA (Xeomin), onabotulinumtoxinA (Botox), and the lone Type B product is rimabotulinumtoxinB (Myobloc). Simpson and colleagues reviewed the evidence for botulinum toxin in four conditions: cervical dystonia, blephrospasm, limb spasticity, and headache. "We chose these diseases because we had a sense that there were sufficient data to show they were going to change in particular ways," Mark Hallett, MD, of the National Insitute of Neurological Disorders and Stroke, a co-author of the guideline, said during a press briefing. "We already had a feeling for what we were going to find, but we had to prove it carefully." All three botulinum toxin type A drugs had level-A evidence supporting their use in upper limb spasticity, and abobotulinumtoxinA and onabotulinumtoxinA had level A evidence behind their use in lower limb spasticity, the researchers reported. There was also strong level-A evidence that onabotulinumtoxinA works in chronic migraine, since the drug had been approved by the FDA in 2010 for this condition -- although the magnitude of benefit was small, Simpson said, with a 15% reduction in headache days per month compared with placebo. He cautioned that there was no evidence that onabotulinumtoxinA worked in episodic migraine, and that there was actually level B evidence against its efficacy in this condition. They also found strong level-A evidence for abobotulinumtoxinA and rimabotulinumtoxinB in cervical dystonia. Evidence was far weaker for blephrospasm, although the drug class was approved for this condition at a much different time and thus the standards for evidence were less rigorous, Hallett said. So there is only level B evidence for incobotulinumtoxinA and onabotulinumtoxinA and weaker level C evidence for abobotulinumtoxinA -- and no evidence at all for rimabotulinumtoxinB -- in this condition. But that doesn't mean the drugs don't work for blephrospasm, Simpson said. Indeed, clinical experience suggests that it is very effective. He noted that an accompanying "Clinical Context" piece appears alongside the guideline to help support clinicians who use this drug in practice. "We felt it was important to qualify that this doesn't imply the drug doesn't work, it just means that this is what the evidence supports, and clinicians need to extrapolate that information to their clinical experience," he said. Raghav Govindarajan, MD, of the University of Missouri, who was the lead author of that companion piece, said it should help clinicians garner insurer approval for treatments that aren't supported by the highest level evidence in the guideline. "This companion hopefully in addition to the guideline can provide an extra layer of protection for our physicians and patients," he told MedPage Today, adding that a similar approach has worked for other conditions, including physical therapy in muscular dystrophy. Although studies showed that physical therapy doesn't improve function in this condition, they do show that it helps maintain a level of functioning, Govindarajan explained, and having the accompanying clinical context helped these patients obtain insurance coverage. Richard Barbano, MD, PhD, of the University of Rochester, noted in an accompanying editorial that the "lack of evidence of certain preparations in particular indications reminds one of the old adage that 'absence of evidence is not evidence of absence.'" Hallett and Simpson acknowledged that a number of studies of botulinum toxin in various conditions still need to be done. Hallett said one major area of investigation should be improvement of function in spasticity, and whether combinations, techniques, or different doses could improve functional outcomes. Simpson added that there are "a number of open questions in the field of botulinum toxin in general." "If you speak to any clinician on a day-to-day basis, in practice, they will be the first to admit that many of the things they do are not necessarily supported by rigorous randomized controlled trials," he said. "We need to do better getting reliable functional outcomes that we can quantitate and that are clinically useful to patients." Previous:What is sudden cardiac arrest?